Good news for parents of kids with heart problems. 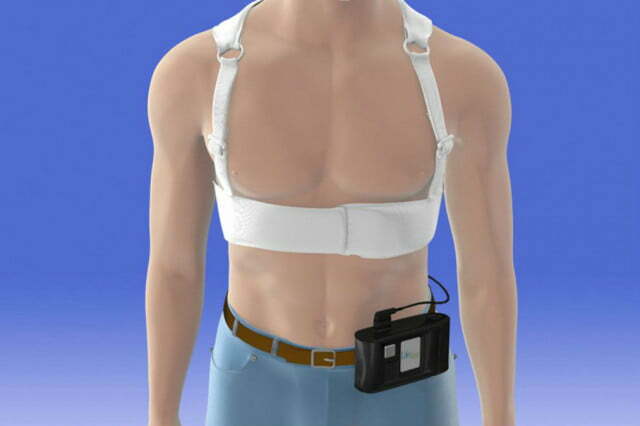 The FDA recently approved the LifeVest, a wearable defibrillator for children as young as eight years old. Intended for people who suffer from the risk of sudden cardiac arrest, it fills a gap for kids who aren’t able to have a pacemaker implanted due to other medical issues. Wonder if you could use the battery pack to power an iPhone? All in all, I still prefer the implantable version. Looks like another good product. I wonder if the kids would actually wear them all the time? My grand daughter had one of the halter monitors for several days and she would "forget" to wear it at times. She is no longer with us as she passed away two years ago. Yes heart issues were a major part of the reason. There is NO way I would allow one of these to be strapped to my child. I also would NOT wear the adult version. From all I've heard, and read, there's just too many issues, mostly inappropriate therapy.